1. You went for an all-inclusive surround sound speaker package from a big brand name manufacturer noted for electronics and TV sets. On the surface, it's not that irrational. If ________ (fill in Sony, Kenwood, any major electronics brand) knows how to build CD players, audio/video receivers or TV monitors, they must know how to design and build excellent loudspeakers, right? Not always. Good speaker design is so specialized, and requires such extensive acoustical research, measurement, and listening tests that the best speakers continue to come from companies with a long history of acoustical research and speaker design. 2. You bought speakers in a rush, without listening to them with your favourite recordings, and now you're disappointed because they sound boomy or harsh. Experienced listeners and professionals will tell you that making careful judgments on different speakers takes many hours of listening so don't be rushed. Visit several stores, taking the same group of recordings of music you know and like, for each test. If you have the option of auditioning the speakers in your own home, so much the better. That's the room where the speakers you buy will be placed, and there's no better place to listen to speakers than in the room you'll use them in. In any case, you'll likely keep them for years, so take your time and don't let sales staff pressure you. 3. You were knocked out by the deep bass from the subwoofer and didn't concentrate on the center channel and main left and right speakers. Sure, deep bass from a subwoofer is desirable, and it's impressive, but whether you watch movies or listen to lots of music, most of those midrange and high-frequency sounds—and all of the movie dialog—will come from the center channel and main left and right speakers. Listen critically to actors' voices. Do they sound "boxy" or unnatural and hollow? Are "ssss" sounds at the beginning of words exaggerated (sibilance) or sharp sounding? Do male actors sound nasal or if they had a head cold? Or are their voices "chesty" and too full? These are all speaker "colorations"—unnatural changes in the tonality of speaking voices introduced by the loudspeaker, and they'll become tiresome and annoying after a short time. Voices should sound natural and dialogue should be easily understood. 4. You went for those attractive little cube speakers because they're so tiny and unobtrusive, but when things get loud with home theatre, the sound gets strained or muddy. They may look cute and almost disappear into your room's decor, but those tiny satellite speakers can move only so much air. They're okay at quiet background levels but the little 2-inch cones inside get rattled when things start to rock and roll. 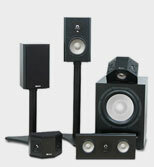 Nor will a subwoofer fill in all the important upper bass and lower midrange sounds that the 2-inch cubes can't handle. Any speaker with any claim to authentic high fidelity, even a fairly compact model, must divide the sound spectrum into at least two segments, the bass/midrange for the woofer, and the treble for the tweeter. A single cone just can't do it well in normal rooms. As the price climbs, the best speakers divide the spectrum into three parts—bass, midrange, and treble—and use multiple drivers for each part to achieve very clean high-level high-quality sound. 5. You saved money by getting two compact speakers you thought would be just fine to fill your 25- x 20-foot cathedral-ceiling living room with high-level sound. But they sound strained and edgy when you turn up the volume. A speaker is a kind of electromagnetic air pump, and a modest single woofer and tweeter can't be expected to fill a big room with wide-range sound at high listening levels. 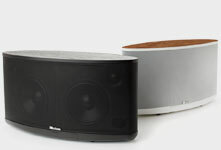 Too many shoppers expect a "bookshelf" speaker to produce deep, resonant bass. Unfortunately, the laws of physics dictate otherwise. 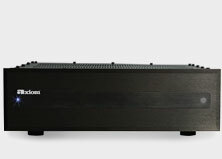 Sure you can get listenable pleasant bass to about 50 or 40 Hz from a shoebox-size enclosure, but if you want the resonant, deep and satisfying sounds that a big rock band or orchestra makes or the deep rumbling of movie soundtracks, you must get a subwoofer or floorstanding speakers--or both! 6. You set up your subwoofer at the side of the room and you're disappointed at the lack of deep, low bass. Room placement of any speaker is critical, and with subwoofers it becomes crucial. Even shifting the subwoofer (or where you sit) by a few feet can have a profound effect on the quantity and quality of low bass you'll hear. If the subwoofer is placed in the middle of a "standing wave," the deep bass may almost disappear. 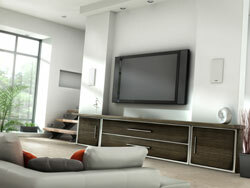 Moving the sub a few feet along the wall or towards a corner may entirely correct the problem. Experiment with subwoofer locations! Every room produces "standing waves"—areas in the room where bass may seem too boomy or may almost be absent. Yes, subs are awkward, but you'll only have to position them once. And you can try moving the couch or chair as well, if that's easier. 7. You bought a receiver or amplifier advertised as having "200 watts total power output" and now it seems to be underpowered. Watts are comparatively inexpensive nowadays, but lots of amps and receivers are still advertised using the misleading "total power output" ruse, which sums the individual power for all five channels. That "200-watt" receiver may have only 40 watts per channel (40 x 5 = 200) which would be okay in a den or a dorm room (barely) but inadequate for good home theater in a living room. Look for the receiver's power output per channel into 8 ohms at a specified distortion level over a rated frequency range, preferably with at least two channels driven. The power at a single frequency, usually 1,000 Hz (1 kHz) is often quoted in ads, but it can be misleading. A receiver or amplifier with rated power output of 80 to 100 watts per channel, from 20 Hz to 20 kHz, at 0.3% distortion (THD), with at least two channels driven, should be more than ample for all but the very largest rooms. And don't forget dynamic headroom . . . don't even get me started on that one! 8. Two really nice guys sold you two impressively large speakers at an amazing price from the back of their truck in a supermarket parking lot. Somehow, the sound seems to be lacking something. . .
Don't laugh. This scam has been going on for years and even normally intelligent otherwise sane folks fall for it. The speakers will often have a brand name that's sort of familiar, like "Sonic Research", something close to that of a familiar brand. But such speakers are terrible. Often, they have tweeters or woofers that aren't even connected. They're just for show. The best speakers come from dedicated speaker designers who most often have been in business for 20 years or more. It takes that long to refine and develop really great loudspeakers. 9. You bought good speakers with excellent reputations and let your spousal unit or companion persuade you to put them out of sight inside an antique armoire or entertainment unit. Why buy really good speakers if you're going to place them inside shelving units or armoires? It's the old law of boundary effects. The more surfaces nearby or surrounding a speaker, the greater the likelihood of unpleasant colourations (see above). A conventional speaker needs to operate more or less in free space. If you need to conceal speakers, consider the latest on-wall / in-wall hybrid designs, whose sophisticated design includes self-contained enclosures that keep sound quality consistent, regardless of the wall in which they are installed. Smaller speakers sound their best on stands or brackets. If you must put them on a shelf, move the edge of the speaker so it protrudes from the shelf a bit to minimize boundary effects. Leave the armoire for electronics and storing CDs! 10. You went for the package speaker system from the famous-name manufacturer that runs the slick advertisements everywhere you look, and spends millions on promotion and little on research and design. The sound is a disappointment. Sad to say, certain companies use the cheapest possible cone drivers, and spend millions on slick advertising, diverting most of their profits not to research and development of better sounding speakers, but to getting manufacturing costs even lower. The systems ultimately disappoint; indeed, in some cases the basic design hasn't changed in 30 or 40 years. But the ads are very compelling. Before you buy, check out detailed test reports in reputable audio/video magazines and on the internet. 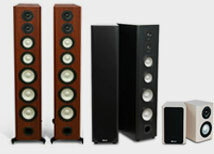 Read message boards for owner's comments on particular brands and models of speakers. Ask questions about the quality and type of the individual component parts. And don't be seduced by fancy-sounding hype in slick ads.